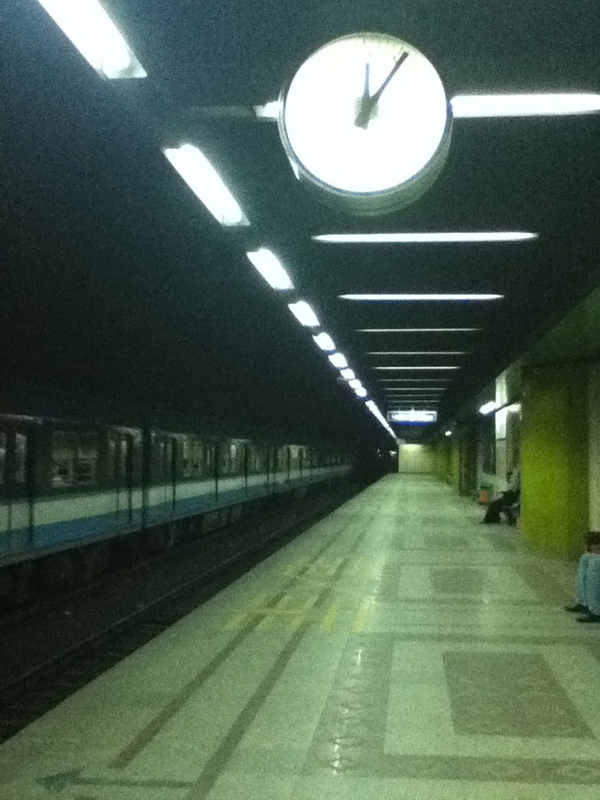 The Cairo Metro is wonderful. It’s the most efficient, most dependable mode of transportation in town. And while it gets crowded (and hot!) during lunch time (between 11 and 2) and after-work time (between 3 and 6), I’d much rather be smushed amongst sweaty men and get somewhere in ten minutes than sweat in a cab that is honking its horn and sitting in traffic for forty-five. But, some tips! The Metro closes sometime between 12:30 and 1 am. I’ve never met anyone who knows exactly when it stops running, but there will be a really, really, really loud siren announcing the last train of the night. BUT, for some reason, the first of the two ladies’ cars (the green one! ), becomes co-ed after 9 pm. If you are male, DO NOT get onto the car before this time. They will yell and kick you out. And this still might happen after 9 pm. Many times I rode the ladies’ car after 9 and a fight broke out between the sexes about whether or not men were allowed on it. Once it was so intense that a group of girls held the doors open so the train couldn’t move for ten minutes; one girl was hyperventilating, tears were streaming down her face, and she was screaming something about the government; and a lady slapped a dude. Always exciting. Also, even if it is only to Midan Geish (close-ish to the Chinese Beef Noodle Restaurant), TAKE THE NEW METRO LINE! It’s clean and shiny and pretty and air-conditioned, and just great.